Officials in Los Angeles and Ventura counties warned that rain is likely to hit Southern California on Wednesday, raising potential for mud and rock slides, especially along Highway 1 and the canyon roads. More Malibu residents forced to flee the Woolsey Fire were back home Monday, in time to face a rain forecast for Wednesday that raises fears of possible mudslides as the estimated date for full containment of the fire was moved back to Thursday. Officials say if mudslides become destructive and residents are told to evacuate, homeowners will be contacted through the reverse 911 system. If you'd like to get alerted through the county, visit this website to get alerts on your phone for your area. Since erupting Nov. 8 in Ventura County and quickly spreading into Los Angeles County, the fire has charred 96,949 acres and was 98 percent contained by Tuesday evening, up from 91 percent early Monday. Full containment had been projected to occur Sunday, but that estimate was initially pushed back to Monday and then to Thursday. The number of structures destroyed across the two counties has been raised to 1,500, with 341 damaged. About 95 percent of the burn area assessment has been completed. Nearly 1,100 firefighters remained in the battle, including nine hand crews, patrolling the burned area in search of hot spots to put out, fire officials said. Seven helicopters and eight bulldozers were in use. The current weather conditions of reduced winds and moderate to good humidity have helped firefighters. However, officials in Los Angeles and Ventura counties warned that rain is likely to hit Southern California on Wednesday, raising potential for mud and rock slides, especially along Highway 1 and the canyon roads. Officials have gradually allowed residents to go home as utilities are restored and areas deemed safe. Much of Malibu, however, was without power until 8 p.m. Monday -- a planned outage to allow utility crews to replace destroyed and damaged power poles and string new electrical lines. Residents of the Broad Beach area of the Malibu Colony Cove neighborhood returned Sunday in an area bounded by the ocean on the south, Malibu city limit on the north, Guernsey Avenue on the east and the Ventura County line on the west. Evacuation orders were also lifted in the Malibu Colony Cove neighborhood from the ocean on the south, the Malibu city limit on the north, Puerco Canyon Road on the east and Paradise Cove Road on the west; and for the Las Virgenes Road/Malibu Canyon Road areas from the Malibu city limit on the south to Mulholland Highway on the north, with Mulholland Highway still closed westbound from Malibu Canyon Road. 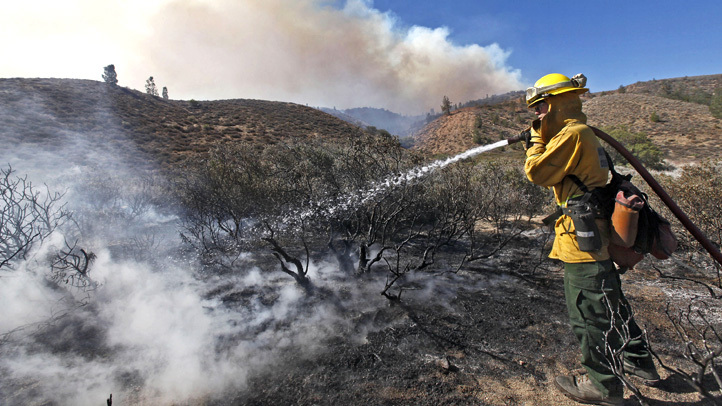 Latigo Canyon, Corral Canyon, Ramirez Canyon and Puerco Canyon roads remained closed north of Pacific Coast Highway. Evacuation orders were lifted in the Topanga area from Pacific Coast Highway to Mulholland Drive on Friday. -- Mulholland Highway on the north, Bulldog Mountain Way on the south, Lake Shore Drive on the east and Shadow Creek Drive on the west. Mulholland Highway will remain closed eastbound at Cornell Road and westbound at Troutdale Road due to bridge damage. -- Pacific Ocean on the south, the Malibu city limit on the north, Paradise Cove on the east and Guernsey Avenue on the west. Latigo Canyon and Corral Canyon roads will be open from Pacific Coast Highway to the Malibu City limit but areas north of those locations will remain closed. Evacuation orders also were pulled for the Seminole Springs neighborhood between Kanan Road on the north, Cadenhorn Drive on the south, Trousdale Drive on the east and Seminole Drive on the west. Westbound Mulholland Highway west of Seminole Drive and southbound Kanan Road south of Triunfo Canyon Road will stay closed. The Los Angeles County Emergency Operations Center issued a safety statement for people returning to their homes after the Woolsey Fire. Fire officials warned people using Malibu Canyon Road to be aware of falling debris, including rocks that may be dislodged by unstable soil. Post-fire areas adjacent to mountains and hills are known for their ability to produce rock and debris flows, which can form quickly. Additionally, areas not prone to flooding may now be at larger risk because of higher than normal flows from streams and rivers. In preparation for rain -- anticipated Wednesday night into Thursday -- officials in Los Angeles and Ventura counties have transitioned into emergency response mode, with an emphasis on debris, flood fighting and support activities. Those activities include the monitoring of all flood facilities and equipment, the operation of debris dams and providing logistics support, field operations and responses to emergencies. 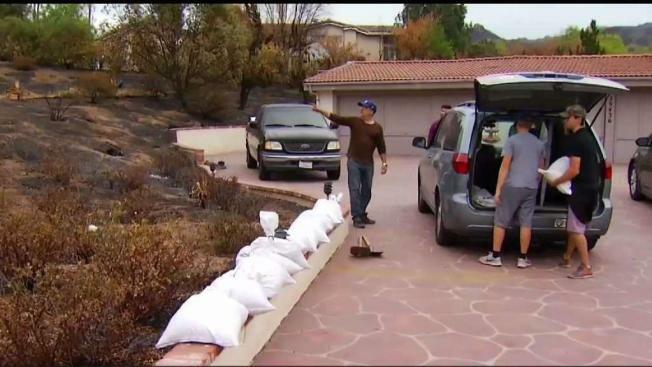 Sandbags and sand were being made available to all residents at Los Angeles County and Ventura County fire stations. Disaster Assistance Centers were opened to help residents affected by the blaze. Customers were reminded to bring proper photo ID to obtain their mail at the USPS Facility at 7101 S. Central Ave. between 10 a.m. and 6 p.m. through Friday. They will be closed Thanksgiving but reopen Friday and Saturday from 10 a.m. to 6 p.m. They are located at the former Malibu Courthouse at 23525 Civic Center Way, and the Conrad L. Hilton Foundation, 30440 Agoura Road, in Agoura Hills. Malibu schools were expected to remain closed at least through the Thanksgiving weekend. Officials of the Santa Monica-Malibu Unified School District said a certified staff of specialists will begin cleaning the schools so they are ready to reopen after the holiday. The Los Angeles County Waterworks District No. 29 in Malibu and Las Virgenes Municipal Water District determined their tap water is safe to drink and no longer has to be boiled for drinking or cooking, officials said. Residents were urged not to try to restore their gas service but to contact SoCal Gas to do it. They also were cautioned to watch out for workers restoring services. Additional fire information for Los Angeles County can be found at www.lacounty.gov/woolseyfire. Malibu also has a website with updated fire information at www.malibucity.org/woolsey.